BATTLE OF THE BRUSHES: ZOEVA VS. FOREVER 21. To be honest, I personally find brushes to be a very boring topic. Like, yeah these are brushes, I got it. Next, please! However, these brushes have made such a strong impression on myself (I didn't even know brushes could have impressions on anything) that I decided to post it. First of all; THESE BRUSHES ARE AMAZING. This will be the tone of this post, so that you know. I am not a huge brush lover and I would never buy brushes for like 100$ because... we're talking about brushes, right? A tool to get that expensive stuff into your face! Naw, I've never been a brush-person. But that changed today. Just that you know; I am using my Forever 21 brush set that I bought in Tokyo for I think 3€ forever and ever and ever. I only use brushes for my eyeshadow (the sponge version), my cheeks and that's it. That also changed today. What happened was at follows: I remembered that in the goodie bag from the Nelly shoe event I went last summer were brushes from Zoeva included. Now I mentioned this already a zillion times but Zoeva has the most best amazing pen eyeliner you can ever wish for (yes, I ordered 3 to take with me to Japan, thats how much I love this eyeliner. I have never loved an eyeliner as I love this one :D ) but that just on a sidenote. 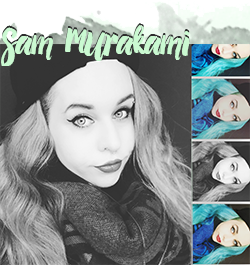 (Buy this eyeliner if you haven't already!! No, I don't get paid to say this it's just a very true lovestory we have here.) So I figured, maybe I should try out these brushes I got as a freebie almost a year ago. I never used them before because these were brushes I usually don't use in my make-up routine but I decided to give them a go. I used these two for a smokey eye make-up and my instant reaction was like: OMG OMG I didn't know brushes could be THAT GOOD. Seriously, I kid you not. I had some sort of brush hallelujah in my bath room when I used these. Now I am really used to do complicated eye make-up that involves a lot of shades and blending but these brushes just blew everything away. The #230 pencil brush took on three, four times more product than the regular sponge I used for my eyeshadow. I always thought my matte shadows weren't that pigmented; turns out I just used a bad brush. I personally would never use this to blend because I found it incredibly hard to blend with this one; however, it got a really good amount of eyeshadow on my lid, so kudos for that. As for the blending part, I tried out the #221 Luxe Soft Crease brush and I instantly knew I could never ever (ever!) live without this brush. Never. It's just THAT good. Imagine you have a really light eyeshadow on one half of your lid and, let's say, a dark black eyeshadow on your other half. And you run this brush over and it magically creates the most beautiful blended version of both. As I said before; I never had problems with blending because I am just really used to it and had a lot of practice throughout the years. However, this brush somehow does something more to it. Blending has become SO easy and comfortable with this brush, I hope I will never miss it with any smokey eye make-up. (Although I could definitely live without #230 pencil I probably couldn't with this beauty). If you love heavy, dark smokey eyes like I do this is probably a most wanted item for you. 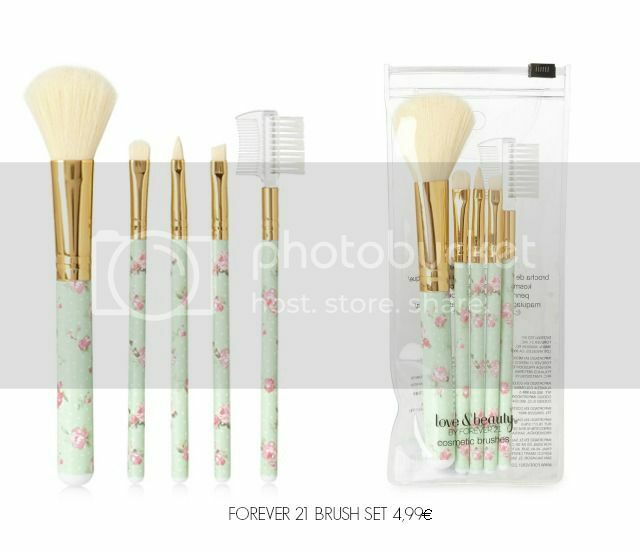 But what happened to my good 3€ Forever 21 brush set? Did I just put it in the trash...? Picture is similar to the set I bought; at that time there was a black/pink set although I love the current design of their brush sets <3 No, of course I didn not just put my cheap brush set into the trash. What you have to bear in mind: a set of brushes that you buy for 3 or 5€ will probably never be the most best quality-wise. However, I used these brushes for years and they are still in perfect form, not shedding a single hair. 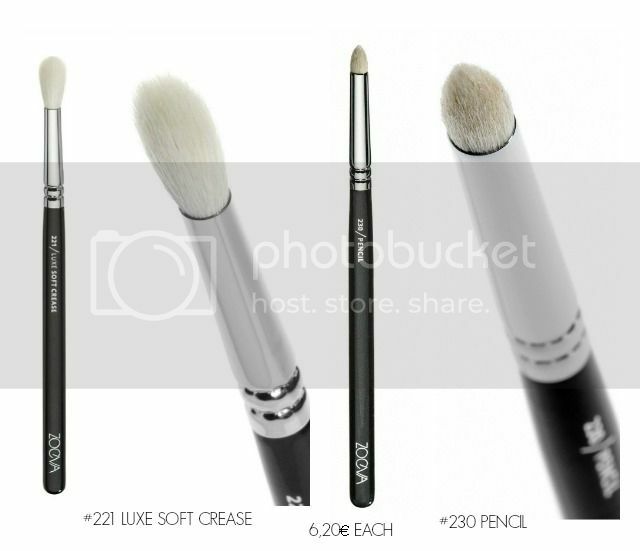 For this amount the money these are perfectly fine; if you're doing make up only occassionally or if you want to trsy out if brushes are for you: Go for these. You can not go wrong with these.